Tour merch? Tour merch. We're going on tour to a social media platform near you this quarter. Catch us on Instagram, Twitter, Facebook, YouTube and more as we end off 2018 and join us in Owning Our Lifestyle! 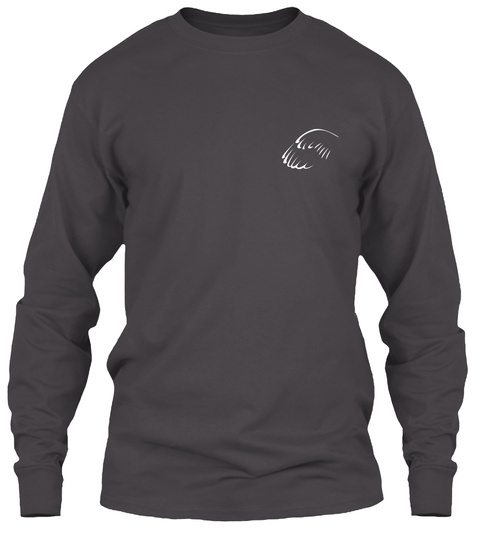 On the front is our classic 'Wing Logo' in white on the right chest. 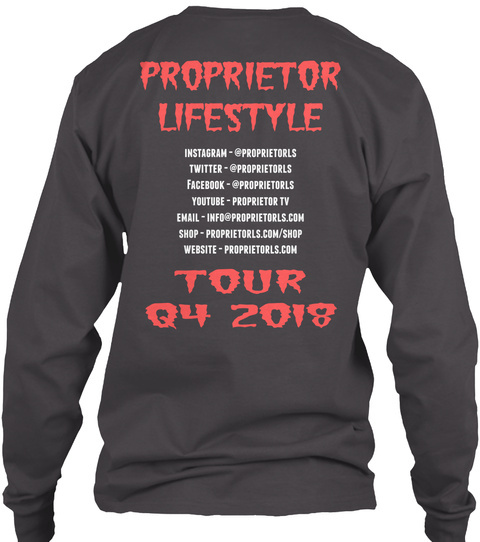 'PROPRIETOR LIFESTYLE' is highlighted on the back in salmon followed by our "tour dates" and "TOUR Q4 2018" on the bottom in the same salmon color. Available in black and heavy metal, this shirt will be delivered 13-17 days after you place your order. For any questions regarding purchasing Proprietor Lifestyle Apparel, email info@proprietorls.com.